The other recollection I have about names and the power they hid is in English class. Our teacher told us about a cartoon strip he enjoyed reading. It was called Hagar. But Hagar’s full name was Hagar the Horrible (Terrible). He then made us think what Hagar’s name meant (Hagar was a Viking and therefore fearsome, red bearded and rather portly) in comparison with his wife Helga, their son Hamlet and their daughter Honi. It was possibly the first time I realised that naming a person could mean something and tell you something about them. It was a revelation. My next bit of naming revelation came when I began reading more and more folklore and the old fairy tales that have not been Disneyfied. Where names had power and that power was never taken lightly. I mean, Rumpletstiltskin was pretty badass, right? Also think about urban myths we see played out in movies and in tv shows like Supernatural, the Grimm tv show as well as Once Upon a Time. I get the creeps standing in front of a mirror and either chanting: BLOODY MARY or CANDYMAN three times in a row. I’ve come to think (thanks to playing far too much Dungeons and Dragons) the more you use a creature’s name, the stronger they grow. And they will find you. In other words: LEE PACE / LEE PACE / LEE PACE (I may be slightly obsessed with a certain hot Elf King called Thranduil). Which is why I’ve given a lot of thought to the names of the characters I use in my Blackhart Legacy titles. My Fae names are derived from Anglo-Saxon names. I delved and dug around until I found names that fit my characters. My Fae aren’t wispy ethereal creatures. They’re more Mirkwood than Lothlorien. I thought long and hard about the Fae High King’s name, especially. I wanted something different, something regal, yet still a bit otherworldly, so when I stumbled across Aelfric I knew I had it down. His youngest son, and one of the main characters in Banished, is called Thorn. The name doesn’t fit with the rest of his family and there’s a reason for that. He was never supposed to be born and as such has become the thorn in his father’s side. My werewolves are Irish. Their names are things like Shaun, Aiden and their surname is Garrett. I wanted to denote that these guys are as wild as any of the warriors from the Red Branch and quite possibly not entirely sane and they walk this fine line between being the good guys and the bad guys. Also, they like to fight and have huge appetites, which I approve of! I decided that they had to be Irish in homage to a book I read many years ago which I now realise was the first urban fantasy I’d ever come across and I just wish I could remember the book and author’s name! Then we’ve got my main character, Kit. It’s obviously an abbreviation of her full name and Katherine just isn’t a name she’s ever called. It’s a name her parents would have called her if they were still alive. The derivative of her name meanS cat or kitten and I chose it too because I thought that when we meet Kit she’s a bit unsure of this new life of hers. And as she grows more bold and self-assured, she’d be able to claim who she really is. So maybe Kit will grow into Kat and then possibly become Katherine? Who knows? Names and how you use them are important. They have a certain feel and both writer and reader will know when it sits well and rings true. Have you ever tried lying about your name? I’m talking properly introduce yourself to a stranger as someone you’re not? It is the strangest and most uncomfortable feeling I’ve ever experienced when I tried it recently. I tried it for research purposes only, I swear! There’s the opening scene in Banished where Kit has to lie about her name and it felt awful and untrue. Where do I get names from? I plunder the internet sites for baby names and whenever I go to charity shops looking for old lore books I always keep an eye out for books on baby names. But then I work in a small company alongside two Hindus, a Polish guy from Yorkshire, an Italian/Irish girl from the East End, a French boy who’s French Algerian but his dad’s Russian, a Kazakh immigrant and a few Dutch people to boot. Names are everywhere but finding the right one for your character, that’s the challenge! Liz de Jager on Twitter, Facebook, and Web. This is the final guest post for this edition, as mentioned above. There are no plans for another edition as yet, so NANP is on temporary hiatus. 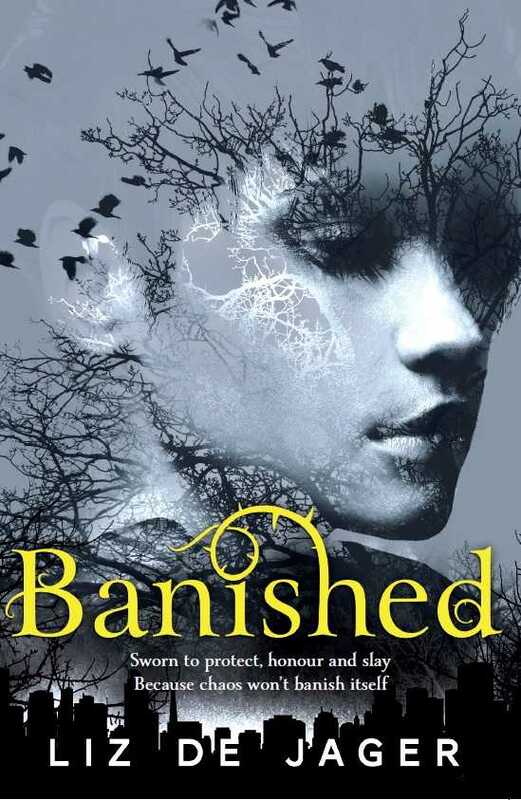 Posted on January 30, 2014, in Debut Authors Guest Series, Guest Posts and tagged 2014 Debut, 2014 Release, Banished, Debut Authors, Debut Authors Guest Series, Epic Fantasy, Fantasy, Guest Posts, Liz de Jager, Names, Names A New Perspective, The Blackhart Legacy, The Importance of Names, The meaning of Names, The Significance of Names, Tor Books, Tor UK. Bookmark the permalink. 2 Comments.